AARP offers Medicare Part D prescription drug coverage to supplement the government-backed Parts A and B coverage. The company offers three Medicare D plans that start with the MedicareRx Saver Plus program and move up to the MedicareRx Enhanced plan. Cheaper monthly premiums equal lower drug coverage in the Medicare D plans. AARP plans abide by the general enrollment rules for Medicare Part D plans. General open enrollment begins Oct. 15 each year and ends Dec. 7. Patients can join a new Part D plan during this period, switch plans or drop the plan coverage. Signups outside the open enrollment period are allowed when a patient becomes newly eligible for the government-backed Medicare programs due to either turning 65 or becoming disabled. 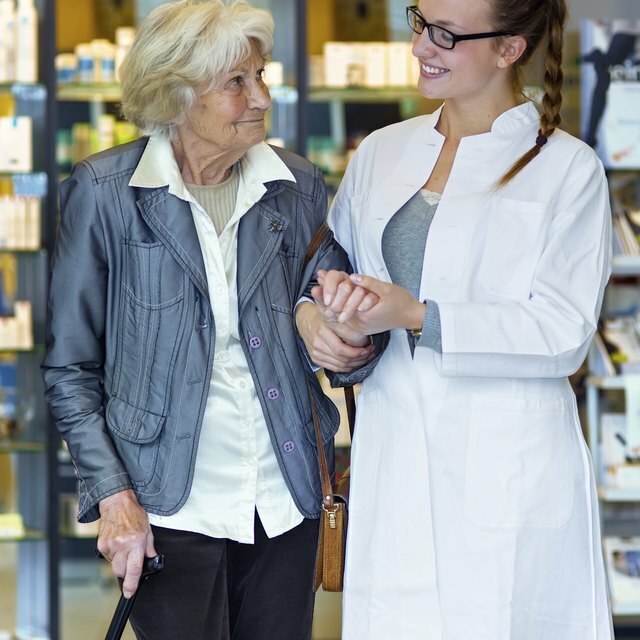 The AARP MedicareRx Saver Plus plan features a lower monthly premium than the other options but has the trade-offs of a modest annual deductible and lower drug coverage. Drug copays start as low as $1 for covered medications. AARP's Medicare Rx Preferred and MedicareRx Enhanced plans differ mostly in that the former has lower premiums while the latter has more expansive drug coverage. Neither plan has an annual deductible and copays for covered medications start at $2. All of AARP's Medicare Part D plans offer free three-month mail order pharmacy services for select generic medications. Patients selecting an AARP plan should consider what medications will need to be covered. The Saver Plus plan covers most generic drugs and many common brand-name medications, so that plan will work for those on a few regularly prescribed medications. The Preferred plan expands to cover nearly all generic drugs while sticking to the most common brand-name drugs. The Enhanced plan covers 94 percent of generic and brand-name drugs. What are the Problems With Medicare Advantage Plans? Patients who hit a certain level of drug costs in a year will hit what's known as a coverage gap or doughnut hole, during which the Part D plan won't provide the same level of coverage. The hole ends when patients have spent the annual out-of-pocket limit specified in the chosen plan. In the Saver Plus and Preferred plans, patients pay a maximum of 72 percent of the cost for generic drugs and 47.5 percent for brand-name drugs covered by the plans. Medicare Rx Enhanced expands to include full gap coverage for Tier 1 and 2 drugs and select drugs from the other tiers. Because of the Affordable Care Act, the percentage that patients pay to cover gap generics will steadily drop from 72 percent to 25 percent by 2020. Medicare.gov: When Can I Join a Health or Drug Plan?